Hit a couple of sales over the weekend - picked up a lot of small items very cheap at one, then a few items at an estate sale on my street. 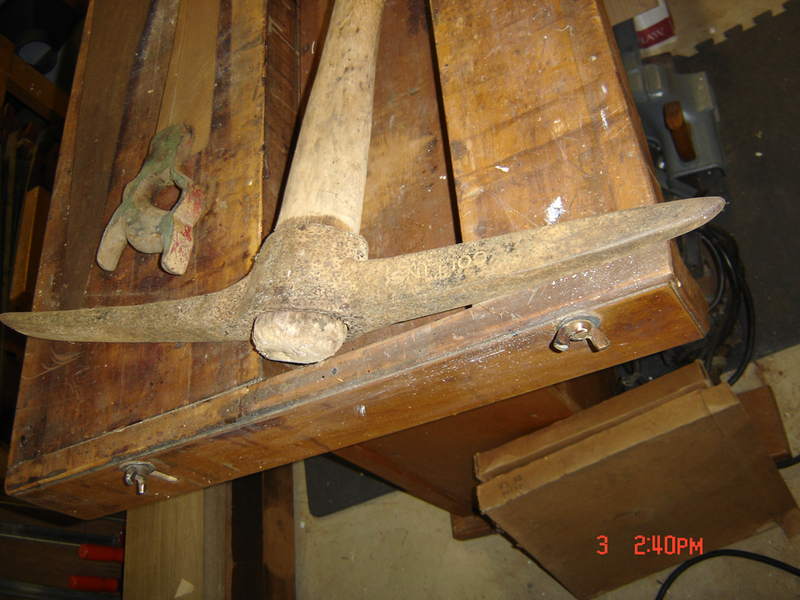 Nothing really special here - the pick-axe is a bit unusual. 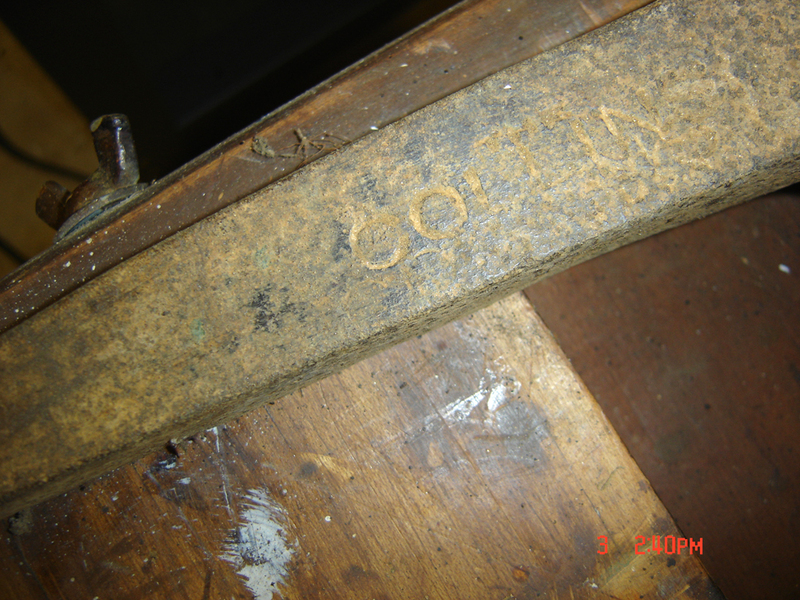 It's marked "Collins" and appears to be for mining? 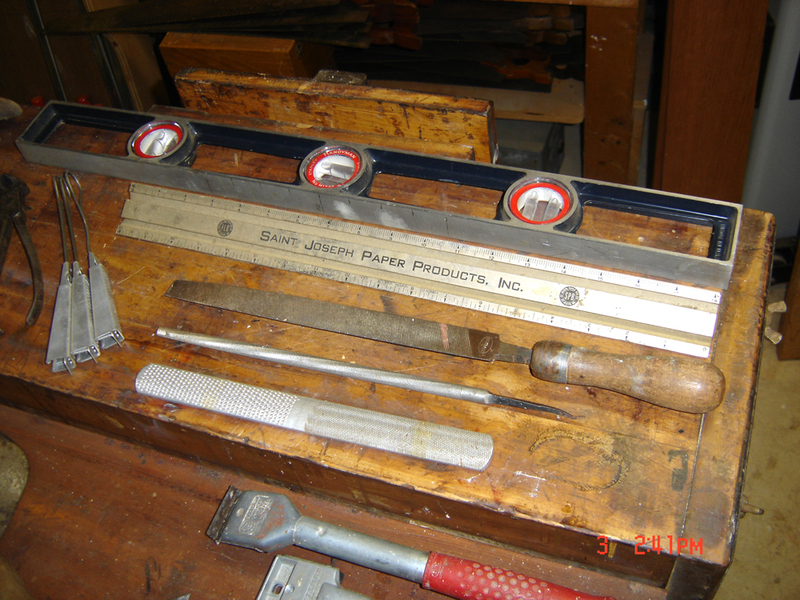 At least it doesn't have the wide spade bit on the back like most you see, rather a thinner point on one end. The haft is hickory I believe. That was found with the two saws. The rest I got at one sale. 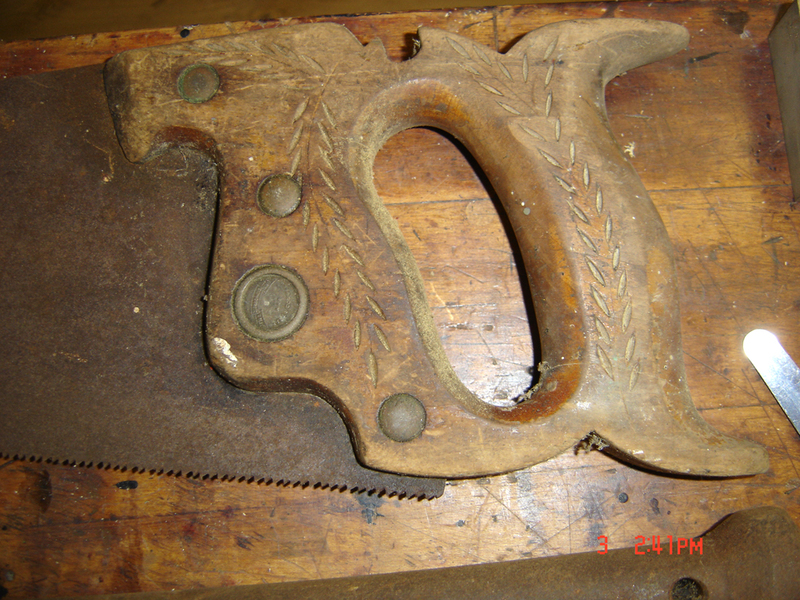 The smaller, dovetail saw is unmarked and missing a screw so I'm not sure about the maker - I think it'll clean up but I mostly got it for the nice grip - it's covered in orange and green paint so I suspect it came from a school. 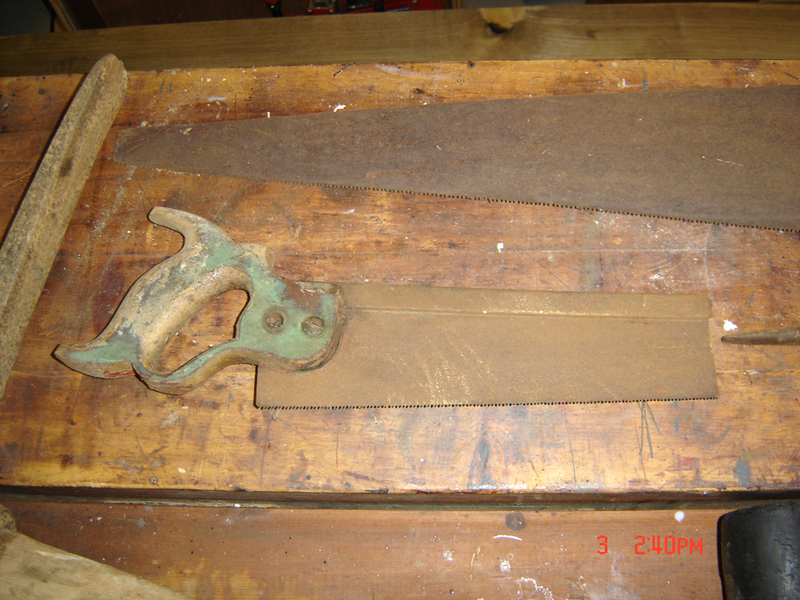 The handsaw has very little blade left and is a bit bent to boot. 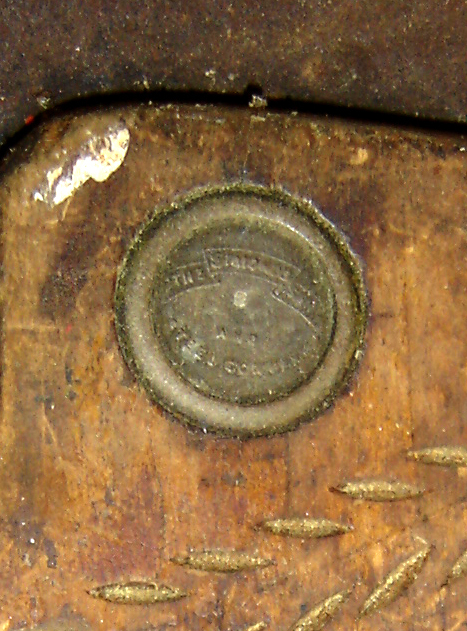 I got it for the nicely carved apple grip - it's also the first "The Simonds Saw" I've found in the wild (pretty much invariably they're either Disston or Warranted Superior). 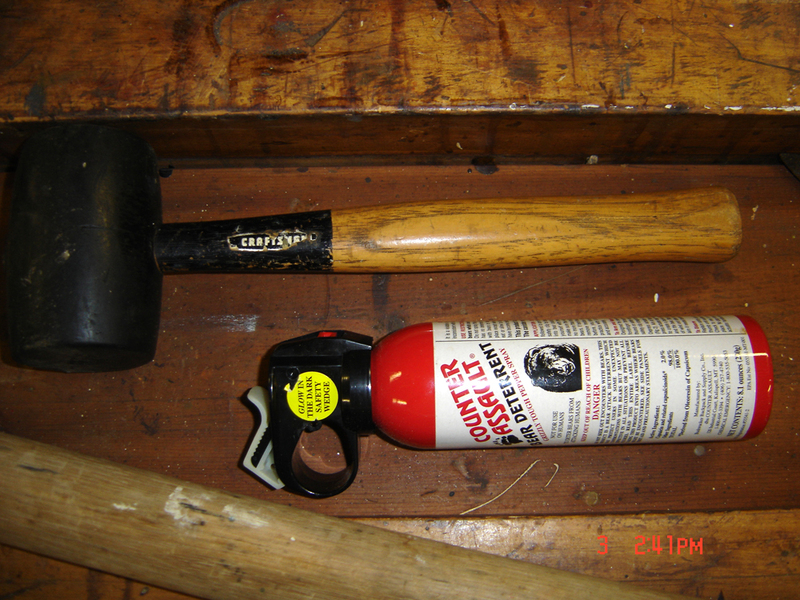 Of the small items, there was this rubber 60's era Craftsman mallet (the head is still soft enough to stand an impact, no cracking at all) and this container of bear spray, which beats the heck out of that cheap pepper spray for home defence. 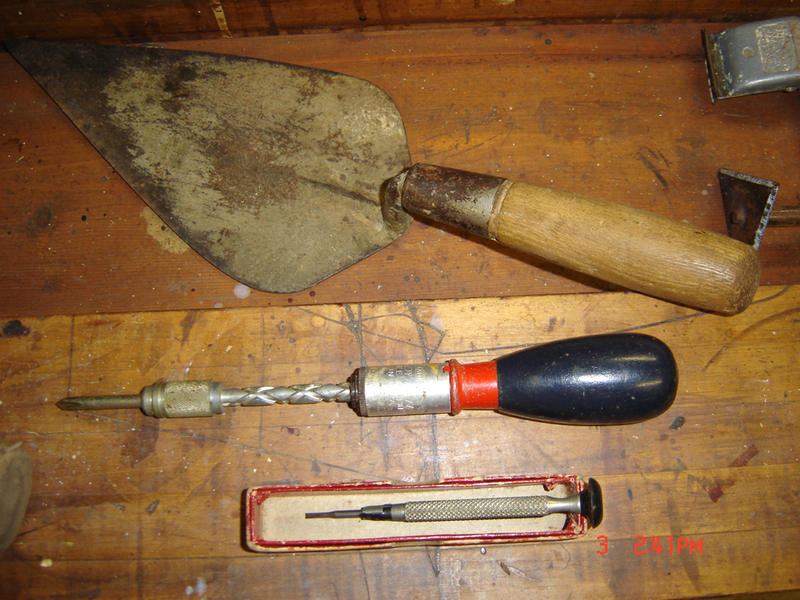 The trowel was a rather nicely handled one, the Stanley Handyman "Yankee Screwdriver" a bit different from my others in that it has a Phillips bit, while the mini driver is just marked "Made in USA" but appears to be Starrett by the knurl and red box. 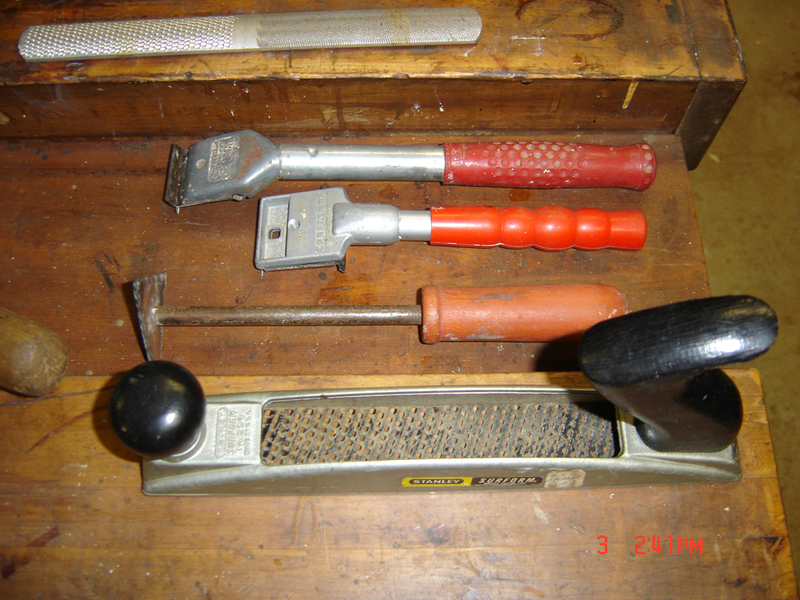 I also got this trio of scrapers (one marked Sargent and another Red Devil - both hardly used) plus this nice Stanley Sureform. 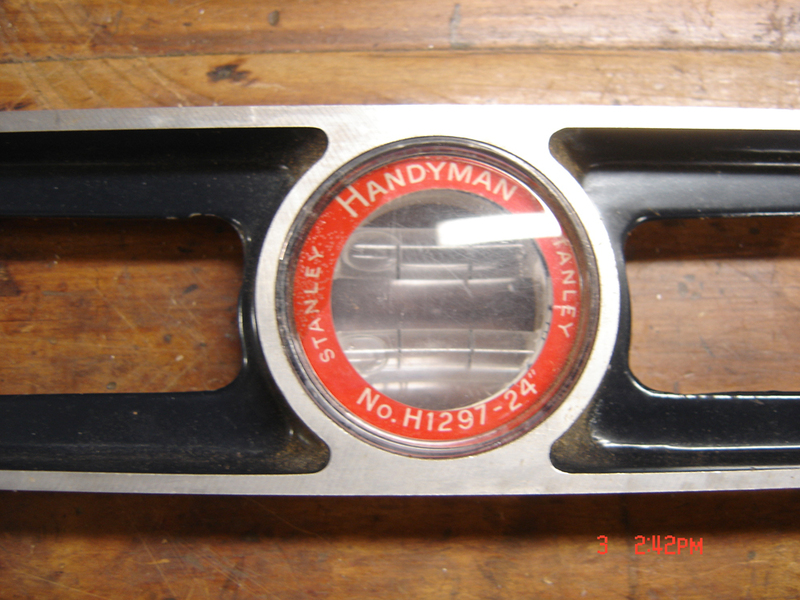 The last few items include a trio of files (one with a great handle), a metal straight edge and a very nice condition Stanley "Handyman" metal level. (those things to the left are wire ties, used to attached cables to buildings and poles - they come in handy). Nothing really special in the lot but still worth saving from the dump. It's funny, I've "lost" my crappy pick axe - one of those plastic-handled jobs you get at Home Depot so I just started looking around for a replacement, and now I've found two in two weeks. When it rains, it pours I guess. Awesome... It looks like a very productive hunt! Amazing what kind of things we can find in random places! 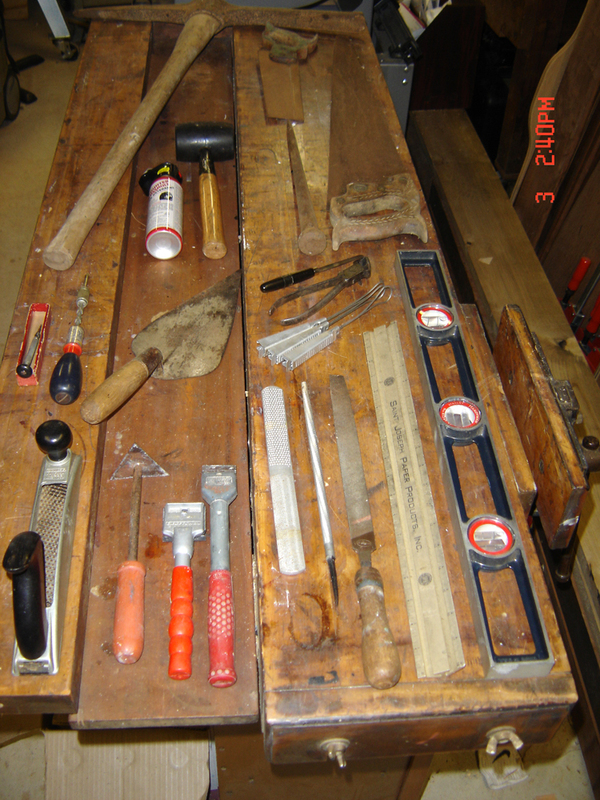 Great job.It's always been a good idea finding the right items at the right place.This is the best part that i like.Buying something cheap, second hand item and then do some touch up and make it brand new again...and all it takes is simple woodworking knowledge.Cheers! George Nelson Bench Project - an Introduction.